Results: Does Color Really Matter For Conversions? Does Color Really Matter For Conversions? Get Your A/B Test Featured! Growcode, the eCommerce optimization provider conducted this smart shoe study for their client Warsaw Sneaker Store. 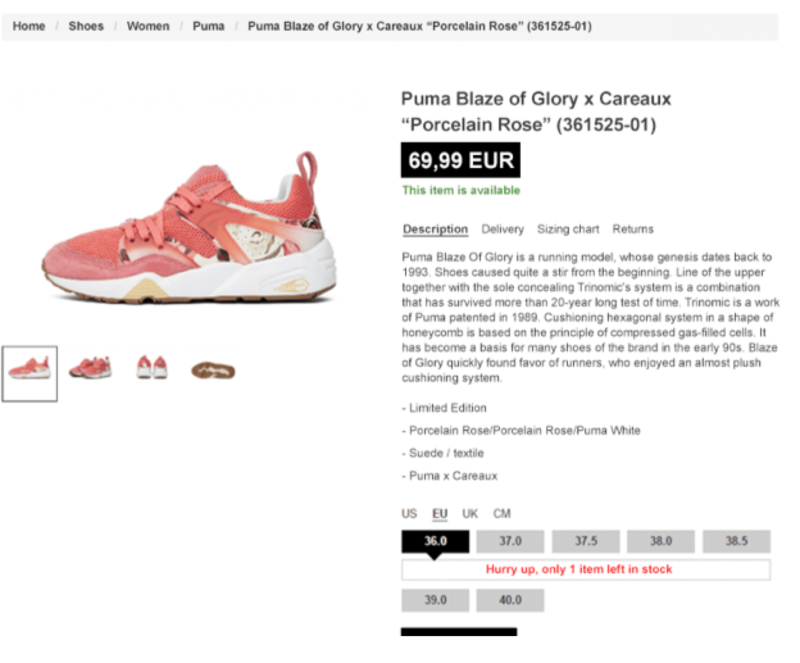 The testing team found it highly beneficial to highlight product availability information with colored text. Doing so increased conversions 19%, compared to the black and white text. This finding wasn’t the only interesting part of the study. There were three more. To find what they were and how you can apply them to your own site, be sure to attend watch this CRO Chime-In replay (available only to Pro Members). What does this test show about optimal product description formatting? Deborah holds a master’s of science (M.Sc.) degree with a specialization in eye tracking technology and is Google Analytics certified.She founded GuessTheTest.com to connect digital marketers interested in Conversion Rate Optimization (CRO), A/B testing, and User eXperience (UX) strategy with helpful resources and fun tests that inspire digital marketing success.